Give your heart and thanks for the big day with this special piece of jewelry. 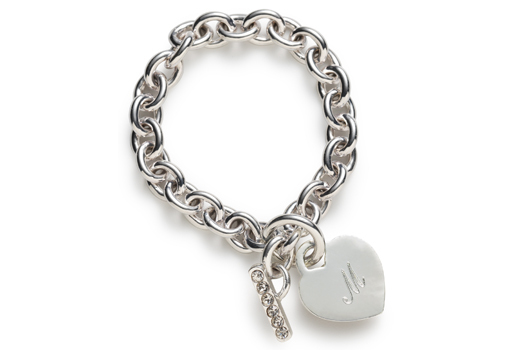 Your bridesmaids will remember your nuptials fondly every time they wear this quality bracelet with its 1" heart-shaped charm. A weighty link chain adorned with a sparkly rhinestone toggle bar clasp adds style and a secure hold. Measures 7" long. 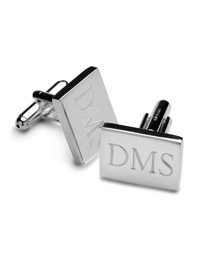 For a personalized touch, specify single initial for engraving.